Park Farm Holidays is located six miles from the coast in Withern, between Alford and Louth in Lincolnshire. 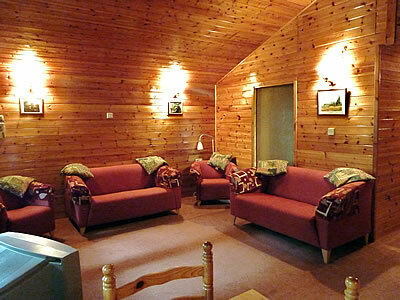 The accommodation consists of two cottages and four log cabins. The log cabins have been carefully designed to capture the atmosphere of this beautiful area. All are double glazed and centrally heated so are always warm and comfortable. With either 2 or 3 bedrooms, all are comfortably furnished inside for an enjoyable stay. 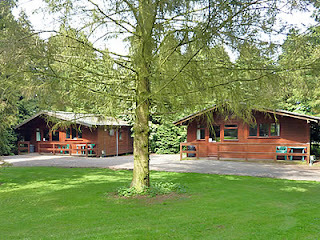 Park Farm does not have a disability rating, but experience has shown that the cabins are suitable for someone in a wheelchair with assistance. Formerly for farm workers, the pair of semi-detached cottages also offer lovely accommodation. They have three bedrooms, one with a double bed, and two with a single in each. There is a washing machine, tumble drier and ironing facilities in the utility room at the rear of the cottages, for the use of both. There are also garden tables and chairs for use when the weather is suitable. One mile from the centre of the village, the cottages are on the private road leading to Park Farm. Boston and Grimsby are about forty minutes drive away and Lincoln a little more. Boston and Lincoln are both of considerable interest to tourists.